Eyeglass frames from CAZAL are always a unique part of an individual personal identity. Crizal designer frames have been unique and personal since 1975. From Berlin to New York and from Tokyo to Paris, the brand focuses on people with an upscale lifestyle. People with an upscale lifestyle appreciate CAZAL as a small, fine global brand which always meets the highest standards while also introducing surprising features. 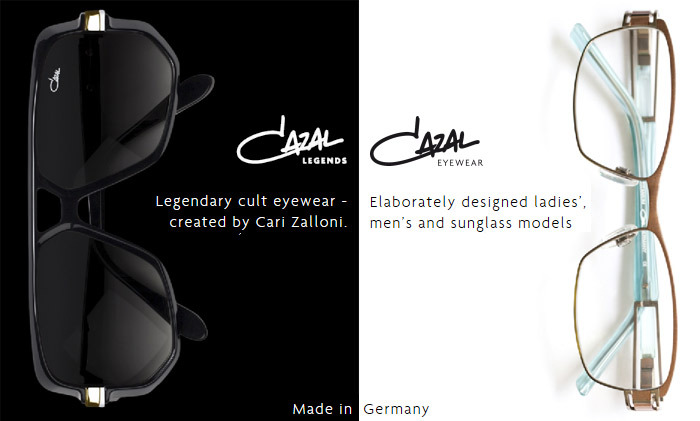 Cazal Designer Eyeglass frames is created by the internationally renowned eyewear designer Cari Zalloni and his professional design team.